Snow isn’t the only white stuff hitting the ground over the next month. As testosterone levels begin to plummet, bucks across the continent will start to shed their antlers. As fixated as we are on bucks through the fall, and for some of us as often as we see one- and two-year-old “basket racks,” when it comes to finding them after the season, it’s not easy. That may be an understatement. How so? Even as a professional deer biologist, I get excited to find a fork-horn. I walk miles and miles each day, but often still come home empty-handed. 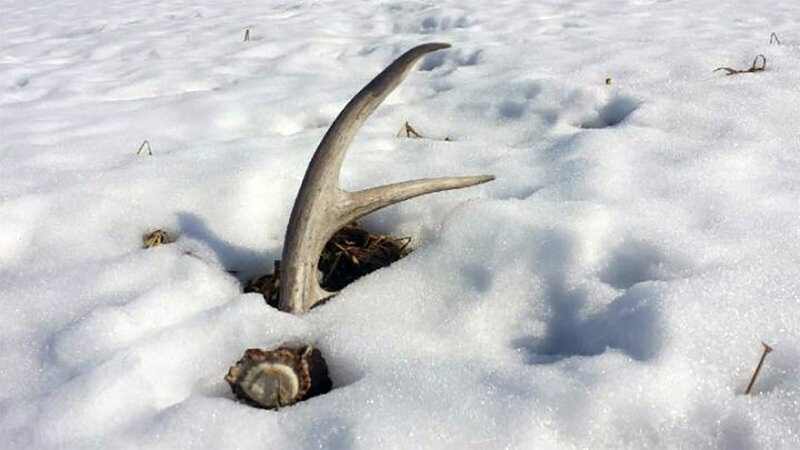 Finding sheds is pretty much like finding a needle in a hay stack and hunters are always looking towards any advantage possible. From corn piles to feeders, drawing bucks into a designated area definitely helps increase the odds of finding sheds. But the popularity in taking the “shed advantage” to the next level by creating shed traps is one that has increased greatly. A shed trap is a device that encourages a buck to jar its antlers loose. There are many construction builds from rope to metal panels. But how exactly do they work? Most are set up over some sort of attractant like corn or powdered product. As a buck approaches and begins to feed on the attractant, the antlers come into contact with the shed trap. The resistance from the trap can cause the antler to pop off the buck. 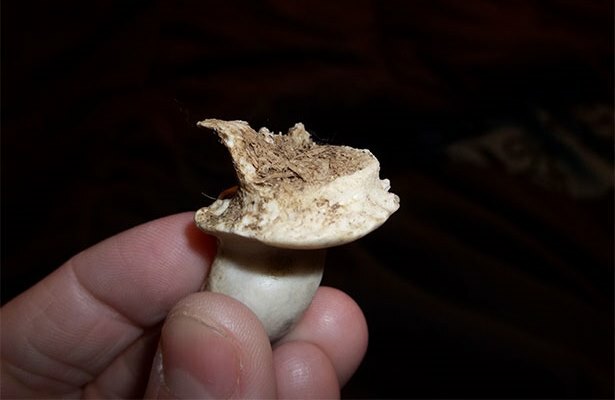 However, by creating unnatural resistance on an antler, it may cause the antler to shed when it isn’t quite dissolved along the abscission line, where the antler separates from the deer’s skull. What’s the big deal, right? So the antler pops off a little early. Well that little bit of a bad break, can cause a lifetime of issues for the buck. When an antler breaks off before it is ready, the odds of it taking some of the pedicle with it are much greater. The pedicle is the source of growth for an antler, year in and year out. If a piece of it breaks, the antler the following year – and even years after that – can be deformed. I know what you’re thinking; maybe he will become a non-typical monster. That’s not always the case. In fact, it may create nothing but a weak spike on one side or even no antler at all. If that sounds bad, keep reading; it might be the smallest issue. The more serious issue revolves around the potential for brain abscesses. No different than an antler breaking during a fight, the unnatural break causes an opening for bacteria to enter the brain cavity. This isn’t a simple case of the “crud.” For most deer this leads to death. Research has shown in some herds that are composed of more mature deer, brain abscesses can be up to 10-percent adult buck mortality each year. The unnatural jarring of the antler is not something that is always a good thing. As much as we want to get our hands on those antler sheds, doing so in an unnatural way can be detrimental or deadly to bucks. Though it may not always pay off, walking the woods is always an experience. It’s good exercise, you can learn a lot of about the activity level of deer on the property and even find new hunting spots. Just because you don’t have the antlers in hand, doesn’t mean that the search was a failure.